These articles provide helpful tips and ideas for smarter banking. 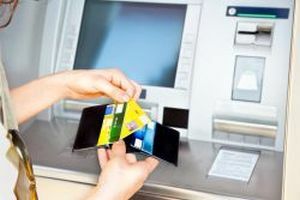 January 2019 saw the federal government introduce new laws on credit cards and credit limits that will affect card providers and users alike. This article explains the new regulations and includes a discussion around credit card debt management. Peer to Peer (P2P) lending is becoming far more popular than first thought. This article explains what it is, how it works and its many uses. Peer to Peer, or ‘P2P’, lending is a method of bringing borrowers and lenders together without a traditional financial institution to act as intermediary. This increasingly popular form of lending takes advantage of the internet to connect individuals who have money to lend with those who require funding for any reputable need. It’s not an entirely new process. The first P2P lending portal was Zopa, founded in the UK in February 2005. In the past 10 years Zopa has processed loans worth more than three billion pounds. However, this figure pales in comparison to the two largest US services. This interesting article explains what virtual currency is, and in particular the most popular, Bitcoin. It explains how it is created, what it is used for, and the pros and cons. Something different to share with your clients. Virtual currencies, or cyber currencies, are both a medium of exchange and a store of value, just like traditional money. However, unlike banknotes or coins cyber currencies exist only as digital data stored in computers. Trading in virtual currencies requires membership in an online community connected by appropriate software, with the value usually being determined by a computer algorithm or simple supply and demand. Virtual currencies are not considered legal tender in most countries, however some, including Australia, do allow purchases using this alternative money. This article uses a potentially real story to alert your readers to the fact that ASIC can collect money held in unused bank accounts for the government’s use. It recommends that your readers should consolidate their bank accounts to ensure any “idle cash” is working for them, not the government. Did you know that the Australian Securities & Investment Commission (ASIC) collects total balances from bank accounts that have remained untouched for seven years? It also collects money left in unclaimed investments and life insurance policies. There is $..... billion dollars waiting to be claimed, most of which has been transferred from bank accounts into the federal government’s Consolidated Revenue Fund. Some dormant bank accounts had balances of more than a million dollars! That news should be enough to prompt action! With identity fraud costing everyday Australians over a billion dollars a year, this article provides a healthy list of tips when it comes to travelling with credit cards. Fraud is a real problem and it’s natural to get complacent so this acts as an excellent reminder for your readers. Credit cards are part of our everyday lives, but as much as these bits of plastic can make our lives easier, they can also cause a lot of grief, particularly when we’re travelling. This article makes your clients more aware of identity theft with reports showing the astonishing rates of personal fraud. It provides some good tips to help your readers protect themselves from this immense threat. We are constantly hearing reports about the rise of personal fraud in Australia, but have you ever looked at the figures? The federal government’s website dedicated to monitoring and reporting scams, Scamwatch, reports that .......... Australians were scammed out of $.... million dollars in 2017! ........... thousand were victims of identity theft. These people had their personal details stolen which were then used to borrow money or incur debt in their names.